Expecting Rain • View topic - How much of Theme Time Radio Hour have you listened to? How much of Theme Time Radio Hour have you listened to? How many episodes of Theme Time Radio Hour have you listened to? Post subject: How much of Theme Time Radio Hour have you listened to? In the last few months, I've been regularly listening to Theme Time Radio Hour and I enjoy it very much. Bob is funny, most of the songs are unknown to me and I've discovered quite a few good ones for me. 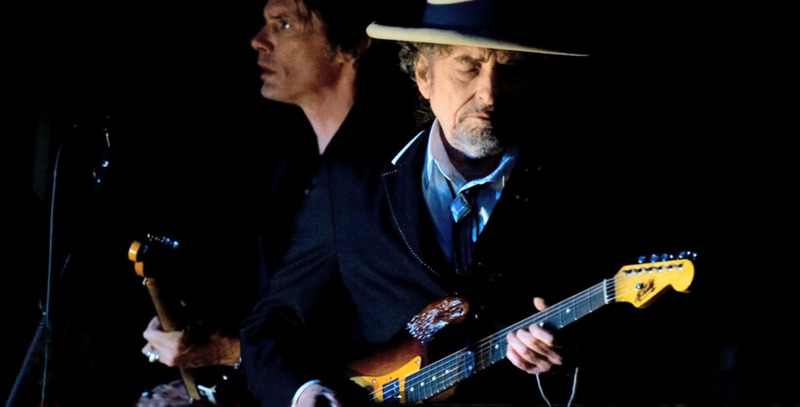 The show had already finished when I started getting into Bob Dylan in 2013, so I don't know how much "hype" surrounded it while it was still on the air. Nowadays, it seems like a hidden treasure. This sub-forum is pretty quiet. I wonder if everyone here has already listened to it and moved on... or if many people like listening to Bob's own music but not necessarily to the music he presents here. Post subject: Re: How much of Theme Time Radio Hour have you listened to? There are some shows in the third season I do not recall hearing/listening to. I have the first two seasons on flash drives and ravel with them so that I don't have to find radio stations wherever I am. Always have interesting music and a DJ I enjoy listening to. Its a good thing! Over the years, I have been listening to every show. In fact, I guess I've gone through the whole catalogue two or three times. And I found something new to enjoy every time. Probably about half scattered across all three seasons. I listened to quite a few of them when they were broadcast. Then listened to most of them again, but not all. Need to find where I was up to and tune back in. All of 'em, some several times and it is high time I revisited the ones I only gave a cursory listen to first time round, it's my favourite radio show bar none. I'm currently going through every show and re-editing the cuts between recordings. Sometimes the original uploader would separate an intro from the song that follows and this drives me crazy. The reason I'm doing this is because I have uploaded all of Theme Time to my Apple Tunes, which consists of 24,000+ songs. When I put it on shuffle, occasionally a Theme Time track will pop up, and I like to have it at least make some sort of sense. It's like Bob is my DJ for all of music, and just like an old time DJ, he only speaks after 5-10 songs or so. For the record, I finished #71 today -- only 30 more. I adore them and listen to some over and over again. I am really enjoying the Bible episode. Have listened to it about 12 times now over the last few weeks. Was aware of this series when it first came out. I listened to a few episodes then. Even more now. Probably have listened to about 2/3rds of the episodes. And I bought the 3 CDs, with the songs, not the talking. My local dingy record shop has managed to survive and stay vibrant after all these years. He sells new and second hand stuff. I go in regularly and ask any 'Bob stuff?'. He will occasionally chuck over something new to me, that I've never heard of. One day he showed me the 3 CDs of the Theme Time radio hour. He said 'Who'd buy these? Only songs, no talking?' I grabbed them. So, now I can listen to a selection of the songs only, or listen to the show with Bob's really relaxing continuity. Perfect for me. I listened to them all and taped them when they were on Sirius. Then when they were available on Expecting Rain, I downloaded them all. I think they were an incredible influence on how I now listen to music. Such a wide eclectic variety - crossing genres, and reaching across the entire timespan of recorded music. The history and background of so many great artists, presented with humour and affection. Truly a masterful series of radio programs, once again confirming Bob Dylan's status as a true lover of music, as well as creator and musical savant. I still listen to the programs periodically to remind myself how great they really are. I've listened to them all more than once. Some of them dozens of times. I don't know that Bob picked all the songs himself, but this would seem more of a window into his soul than googling, thoughts about the state of his dental work, or whether or not he's an addict of some sort. I wish he'd do some more. I'm sure he had his team do research and submit a list of songs, BUT there are at least 50 passages in the chosen songs that inform his own work so directly that he must have had a strong hand in choosing the final list. I'd be interested in that. I'm envious of people who know so much about music. That understand it that way. Well, not funny, but you know what I mean. I guess we can't agree on everything. I do admit I jumped on your initial comment (over there) without enough thought about it not being directed at me personally. And I heartlessly needled you about leaving/not leaving, although I thought you might find that a little funny and needle me back. I'm burying this mea culpa in TTRH where hardly anyone goes though. I don't want to damage my bitchy reputation. had I not been so focused on clarifying my position. My thoughts aren't always right, but I at least want to be challenged on the thoughts that really are mine. And no problem - your reputation for bitchiness should live on. There are no Tell Tale Signs over here in TTRH. I keep meaning to ask you. What does your name mean? I had a friend that moved to Texas and she was astounded by the state of the dental work there. Some life long Texan told her they are called "summer teeth." As in summer teeth, summer not. That's exactly what it means - I took it from a Wilco album with that name. If you don't know Jeff Tweedy and his band, you should look them up. You were born in '68, conceived during the summer of love by those hippies for whom you have so much contempt. Thanks for the music recommendation. I am a late in life baby. My parents were barely post crash depression born Catholic and Quaker midwesterners. I didn't grow up on Dylan or the Dead I assure you. I would be happy with two or three more seasons. The song selections, stories about songs and artists, goofy humor... It was really a great show!